With the New Year in full swing, what are the wedding trends we expect to see coming through in 2015? There’s certainly an increase in the popularity of long tables for more relaxed wedding dining – especially for outdoor weddings. But don’t think that long tables have to be rustic – they can work really well in more formal, elegant wedding settings too with the right styling and details. We love this look in both our teepee and Sperry tents. 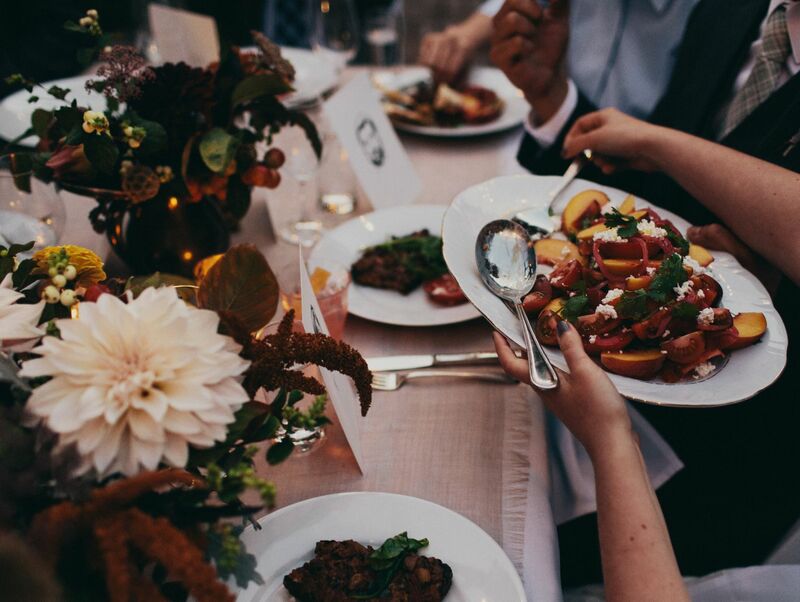 Long tables allow more conversation, and help create a real sense of togetherness amongst wedding guests. This style also fits well with the trend for sharing platters and more family style dining where the guests will serve and pass round big dishes instead of individual plates. With long tables, one thing to consider is that they do have less room for traditional centre table decorations and flowers. We see many couples opting for simple uncovered tables, with loosely styled flowers creating tables runners. For more impact, flowers can go up and hang above tables. 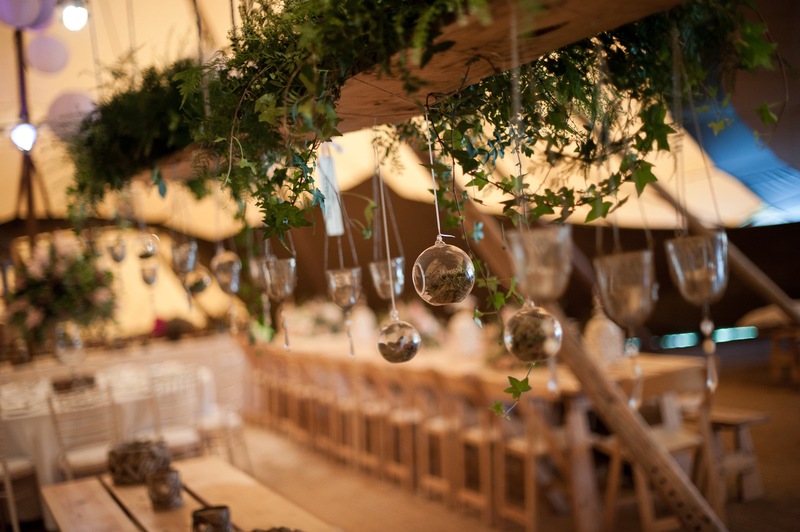 We’ve introduced handing frames for floral chandeliers and wooden swings that can be dressed in so many different ways – from elaborate designs by florists, to simple blooms or candles styled by creative DIY brides. These are already one of our most popular finishing touches for our 2015 teepee and Sperry weddings.